Tom Hiddleston continues to dominate screens with High-Rise, the movie adaptation of J.G. Ballard’s classic book of the same name. Themes of class mobility, Thatcherism, and isolation resonate today as much as they did upon the book’s release 41 years ago, with Hiddleston’s character guiding viewers through Ballard’s allegory of an isolated society descending into class warfare. Our own Ignatiy Vishnevetsky was genuinely surprised by how much he dug it when he saw High-Rise at TIFF, giving it a B+. In preparation for the film—which releases for home viewing via the major digital services today—The A.V. Club has five High Rise books to give away to five people who like to read their source material. For your chance to win, simply send an email to avcontests@theonion.com with the subject line “High-Rise.” Please be sure to include your name and mailing address in the body of the email. U.S. entrants only. We’ll select five winners at random from our eligible entries on Thursday, May 5, and notify them via email. An official plot synopsis and trailer for the film can be found below. 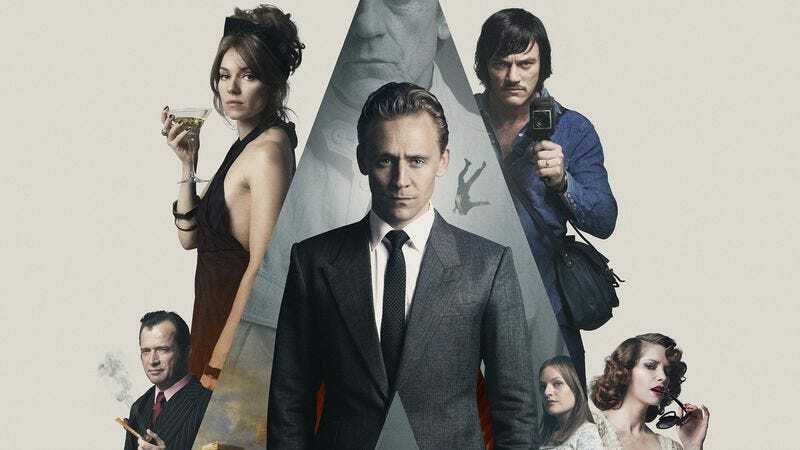 High-Rise stars Tom Hiddleston as Dr. Robert Laing, the newest resident of a luxurious apartment in a high-tech concrete skyscraper whose lofty location places him among the upper class. Laing quickly settles into high-society life and meets the building’s eccentric tenants: Charlotte (Sienna Miller), his upstairs neighbor and a bohemian single mother; Wilder (Luke Evans), a charismatic documentarian who lives with his pregnant wife Helen (Elisabeth Moss); and Mr. Royal (Jeremy Irons), the enigmatic architect who designed the building. Life seems like paradise to the solitude-seeking Laing. But as power outages become more frequent and building flaws emerge, particularly on the lower floors, the regimented social strata begins to crumble and the building becomes a battlefield in a literal class war. High-Rise is the latest film by cult British director Ben Wheatley (Kill List, A Field In England), an ambitious adaptation of the J.G. Ballard novel.